One of the most common eye problems are red and dry eyes. Redness and dryness are symptoms of many eye conditions. Some of these conditions are not serious, but others are serious and may affect eyesight. Our Christmas and New Year Trading hours. Please remember that if you cannot access the Pharmacy via the Aldi mall – to walk around to the door that leads directly to the main car park – the mall may be closed earlier on some of the public holidays. Seniors Day today at Eden Rise Pharmacy! Visit Kidsafe’s Unconventional oven website for more information on kids in hot cars – make sure to watch the video showing a piece of lamb being cooked in a car on a 27 degree day. Twelve Days of Christmas at PharmaSave Eden Rise! Starting on the 13th December when you spend $30 or more in store you will receive an entry into our daily draw to win a luxurious hamper. Check our facebook page every day to see the hampers that have been won! An article published on Gritty Pretty recently said that 80% of all signs of skin ageing are due to environmental aggressors such as UV rays, pollution and smoke. The following article is reprinted from the Better Health Channel. Sunburn is the skin’s reaction to the ultraviolet (UV) radiation from the sun. You can see sunlight and feel heat (infrared radiation), but you can’t see or feel UV radiation. It can damage your skin even on cool, cloudy days. Sunburn is a radiation burn to the skin. The signs of sunburn can start to appear in less than 15 minutes and skin can turn red within two to six hours of being burnt. It will continue to develop for the next 24 to 72 hours and, depending on the severity, can take days or weeks to heal. 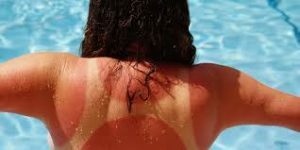 Sunburn will become worse with more exposure to UV rays. Mild sunburn can be treated at home, but severe and blistered sunburn requires prompt medical attention. 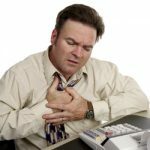 Most of us at some time in our lives will experience heartburn – after a big meal, undertaking strenuous activity too soon after eating, or drinking too much alcohol or coffee. Heartburn (gastro-oesophageal reflux or indigestion) is really very common. Heartburn is caused by the contents of the stomach coming back up into the oesophagus where it can cause a burning sensation in the chest or throat. Persistent reflux that occurs more than twice a week is considered to be gastro-oesophageal reflux disease (GORD), and it can eventually lead to more serious health problems. People of all ages can have GORD. Occasional heartburn on the other hand can be caused by eating too much, from anxiety, and advanced pregnancy – to name but a few of the causes.